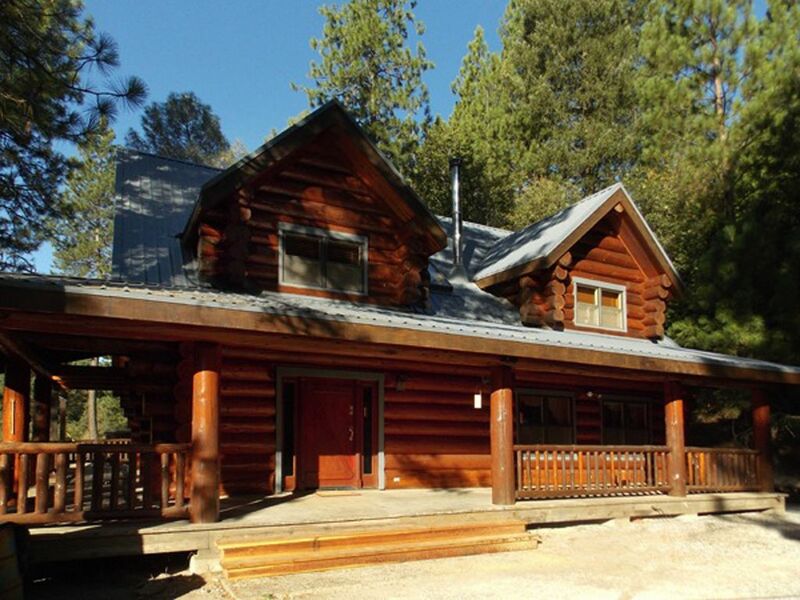 Luxury Cabin In The Gold Country Close To Wineries, Old Town Placerville. 2 level 2200 sq ft log cabin. 2 large bedrooms with full bathrooms in each room. Sleeps 7, 1 king size bed and 1 day bed in master bedroom, 1 queen size bed in 2nd bedroom and 2 ex long twins that can be made up into a king bed or kept as twins beds. Bedrooms located upstairs. Air conditioning and wood burning stove, central heating. Fully equipped Kitchen. 32' TV satellite, washer and dryer, propane BBQ, out door eating area. We purchased our log home as a vacation home for our family. It's located on 20 acres we have another home on the property that we vacation in. The property does have a full time caretaker. So in the event there was ever a problem in the Cabin there is someone on the property to take care of any problem. It's very quite and peaceful, nature all around. You can sit on the porch and sip wine, enjoy the scenery. Stroll through the gardens or fish in the pond. Wonderful stay. Would like to come back when we have more time to explore. The owners are attentive and made us feel welcome. Thank you! 100% nonrefundable 15 days prior to check in. Full amount is forfeited in cancelled within 15 of check in date.